Beautifully restored rail depot in the heart of Downtown Ringgold, Georgia. This historic building served as a major transportation hub for the Western & Atlantic Rail line as well as a crucial supply point for both Union and Confederate forces during the American Civil War. 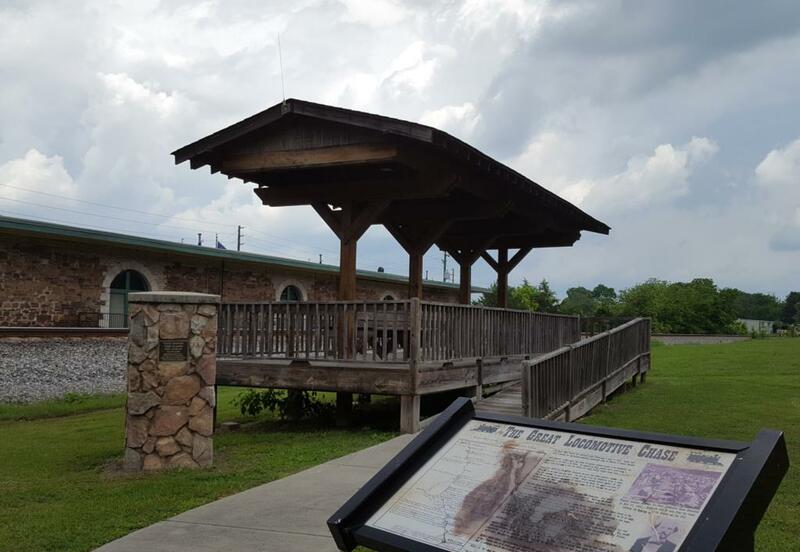 The Ringgold Rail Viewing Platform is located on the east side of the single track and Historic Ringgold Depot on 5282 Evitt Street, next to the Fire Department. From the rail viewing platform, visitors can expect around 20 trains during a 24 hour period. This is the North/South CSX W&A (Western & Atlantic) subdivision. The platform is an elevated covered platform with benches, lighting and a radio scanner feed to tune into the local railroad chatter. There is a grade crossing at the north side of the park. The park consists of an open grass field, picnic tables and lighting for evening viewing. You are also less than a five minute drive from Historic Downtown Ringgold where you can take advantage of our many local eateries, nature trails and shopping. There is public parking and parking is free. The Ringgold Convention and Visitor’s Bureau (CVB) recently unveiled the first in a series of historical narrative tablets that highlight the unique wedding history of Ringgold. The first marker highlights the Ringgold Wedding Chapel - the former Ringgold Methodist Church. Among the list of celebrities who married there is former Louisiana Governor and Country Music Hall of Fame member Jimmie Davis to legendary Gospel Hall of Fame member Anna Carter Gordon of the Chuck Wagon Gang. The second tablet highlights the unique history of the location Dolly Parton chose to marry at the First Baptist Church of Ringgold. These markers can be viewed along Nashville Street in Downtown Ringgold. In 2009, the Ringgold Telephone Company and the City of Ringgold hosted a festival to honor the brave actions of Maj. Gen. Patrick Cleburne during the defense of the city of Ringgold during the Civil War. In November of 1863, Cleburne hastily brought together 4,100 Confederate soldiers who had recently suffered a crushing defeat in Chattanooga and successfully defended the mountain pass at Ringgold Gap from the assault of over 20,000 Union soldiers. Revered by both Confederate and Union forces alike, Patrick Cleburne was known for tenacity and ingenuity as well as controversial suggestion to the Confederacy that any slaves willing to help fight in the war should be given their freedom. 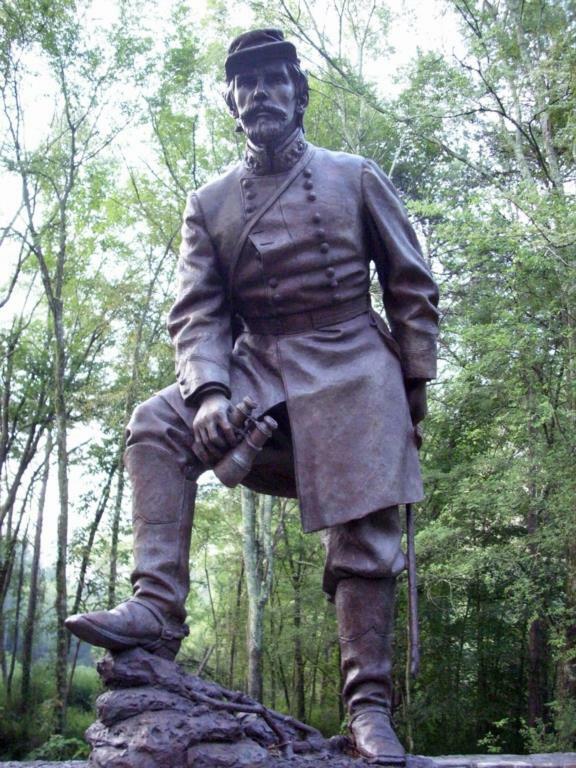 In his honor, a statue was erected on U.S. 41 Highway just east of downtown Ringgold to commemorate the Battle of Ringgold Gap and the beginning of the Atlanta Campaign. Approximately 1 mile north of the Ringgold Depot on the former Western & Atlantic Rail line, a monument marks the final stop of the great Locomotive Chase that began in April of 1862. A group of Union soldiers called "Andrew's Raiders" hijacked a Confederate train and attempted to destroy the rebel rail network across northwest Georgia. After running out of steam, the train engine came to a stop just north of Ringgold where the Union soldiers attempted to escape the now pursuing locals. For their actions, some of the surviving members of Andrew's Raiders were awarded the then newly created, Medal of Honor. A quick 15 minute drive from Exit 348 in the heart of Ringgold will transport you to one of the most exhilarating attractions in Georgia. 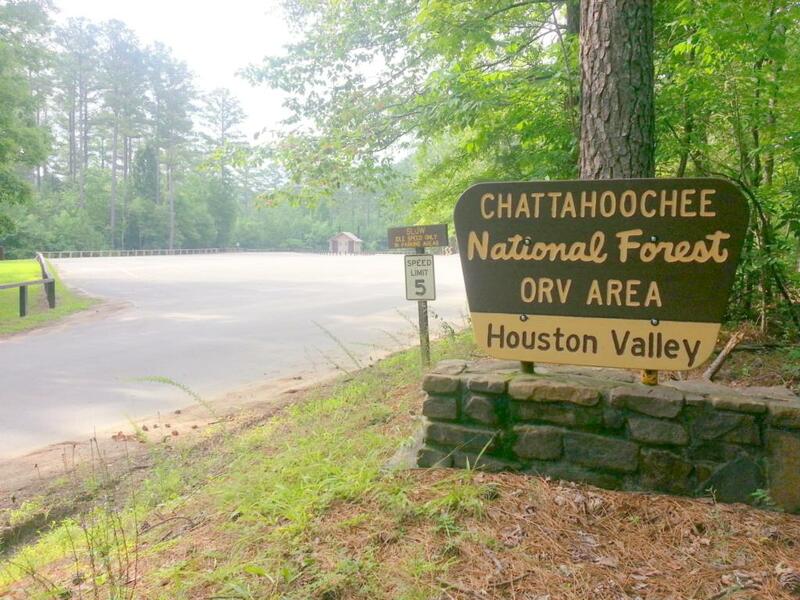 The Houston Valley OHV Area (Off Highway Vehicle) is the largest system of OHV trails in the state at over 25 miles. Nestled in the beautifully preserved West Conasauga District of the Chattahoochee-Oconee National Forest you can ride a variety of off-road vehicles with the purchase of either a day pass or annual membership. With trails for beginners and experts, any avid outdoorsman will enjoy a ride on these trails. Access: Call 706-965-6736 to confirm trail access after inclement weather. Address: Take Alabama Highway 7 Miles south of Exit 348. At the end of Caperhart Road off of East Nickajack Rd / Houston Valley Rd. 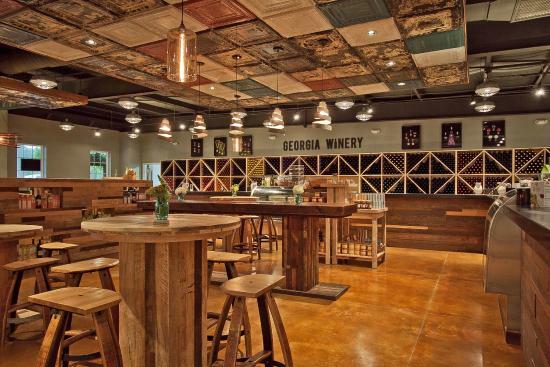 Established in 1983, Georgia Winery is a family owned and operated facility producing award-winning fine wines. Specializing in capturing the fresh flavor of the fruit results in unique wines that explode with lavor and tantalizes taste buds across the nation. Located south of Ringgold on US 27 Battles set the stage for Union's 1864 invasion of Georgia. Chickamauga and Chattanooga National Military Park, the nation’s first, was created in 1890 to preserve and commemorate these battlefields and allow visitors a first-hand look into the gateway of the deep south. The military park houses both the Chickamauga and Lookout Mountain Battlefields and offers major points of history and interest to people of all ages. The Chickamauga Battlefield has a driving tour and hiking trails with many monuments and historical landmarks to see along the way. Visitors to Lookout Mountain Battlefield will experience Point Park and scenic vistas. 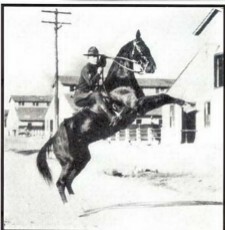 The 6th Cavalry Museum preserves the rich military history of the “Fighting Sixth” Cavalry, stationed at The Post at Fort Oglethorpe 1919 – 1942. The story of the 6th Cavalry is an illustrious one, beginning in 1861 as a U.S. Cavalry Regiment. 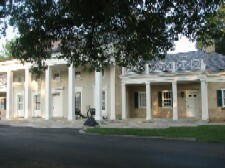 Located on the Post’s original parade ground – polo field, the area is listed on the National Register of Historic Sites. Located over 1120 feet beneath the surface, Ruby Falls is the nation’s largest and deepest waterfall open to the public. Hundreds of gallons of water rush over by the minute and amaze visitors.